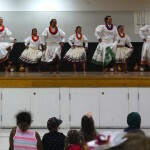 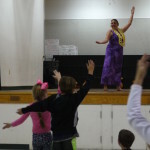 Hula artist, Shawna Alapa’i and her troupe of dancers put on a beautiful evening performance at Sonoma Mountain Elementary in Petaluma. 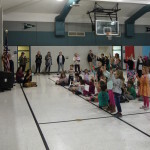 This marks Shawna’s second year at Sonoma Mountain, and it was wonderful to see the school community come out on a chilly Friday to support her. 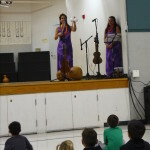 Shawna sang and told Hawaiian folktales, as her dancers performed several traditional Hula dances. 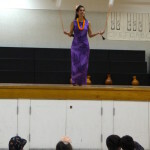 She wowed the crowd with her demonstration of the Poi Ball dance, which she shared she used to do with the balls lit on fire! 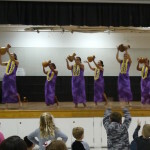 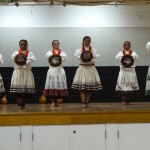 The event concluded with the students doing a impromptu performance of their “Moana Dance” for their proud parents. 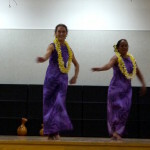 Thank you Shawna for a lovely evening! 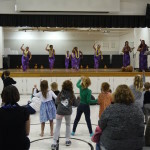 All the kids are on their feet!